It’s been nearly 230 years since President George Washington commissioned Pierre L’Enfant to establish a grand avenue in our burgeoning capital city. 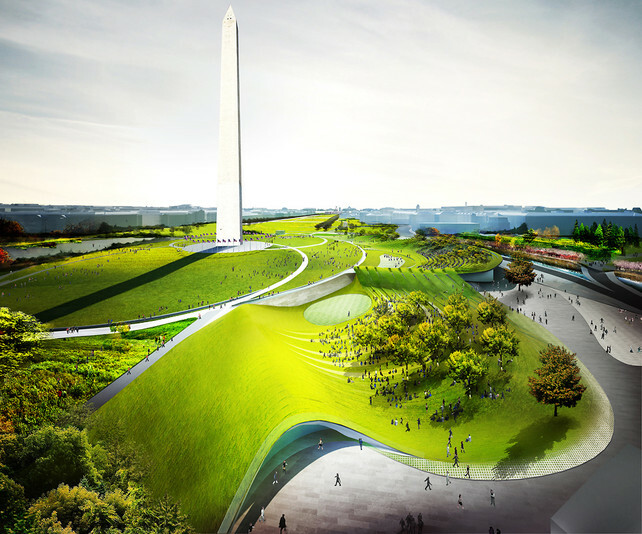 D.C.’s National Mall–or “America’s front yard,” as it’s been branded–has had a few face-lifts, but the last significant revamp was way back when the country celebrated its bicentennial in 1976. 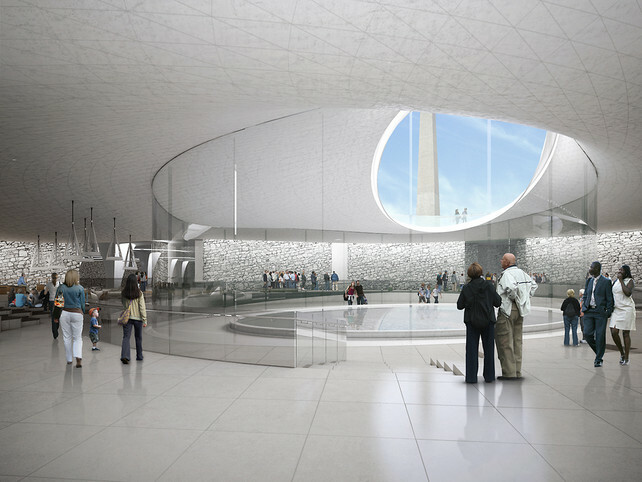 Last year, the Trust for the National Mall launched a design competition for restoration of the monument-studded historical area, which now attracts nearly 25 million annual visitors, and the finalists have been announced. The original 32 teams have been narrowed down to four candidates for each of the three selected sites: Union Square, the Washington Monument grounds at the Sylvan Theater, and the Constitution Gardens. Boldfaced usual suspects like Diller Scofidio Renfro and Hood Design, Pei Cobb Freed & Partners and Ken Smith Landscape Architect, and Snøhetta and AECOM have all made the cut, and the proposals offer a fresh take on reconciling the heritage of the locales with modern touches that include water features, cafés, green roofs, and an abundance of well-tended public spaces. Scrolling through, it’s easy to imagine an afternoon spent lolling in any one of the entries, lush and idyllic as they are, and ultimately it will take nearly $700 million to achieve the vision–which ever it may be. The winners will be chosen by a jury of eight. But because our country is nothing if not democratic, the public is encouraged to comment upon each of the entries at the official site, where feedback is promised to be “an important element” in the official decision-making process. If you’d like your voice to be heard then be sure to click by and let them know your thoughts, but in the meantime check out a selection of the proposals here.